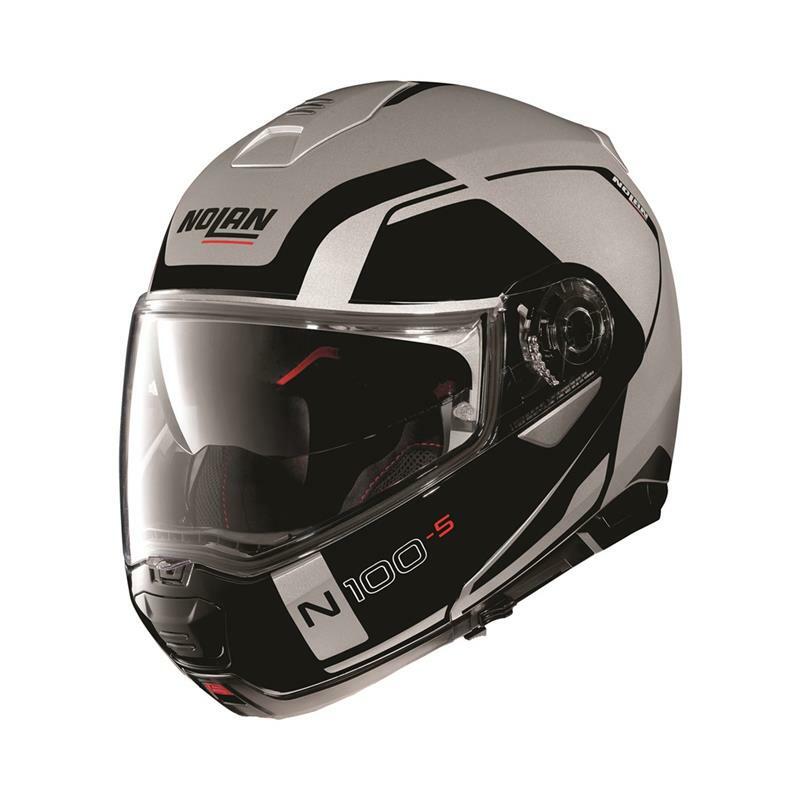 The new Nolan flip-up helmet is a streamlined replacement for the popular N104. Whilst retaining many of the key features of its predecessor, the N100-5 incorporates a variety of safety and technologically advanced upgrades. Available in a wide range of colours and graphics, the new Nolan is also equipped with an innovative Clima-Comfort inner liner with micro-perforated fabrics and is ready to accept the N-COM communication system. • Neck roll padding – to minimise the effects of buffeting from wind when riding. • P/J Homologated – legally allowed to be ridden with either the chin guard down or up. • Patented chin guard rotation with ‘elliptical trajectory’ to keep the total size of front section to a minimum. • VPS (Internal Sun Visor). • Chin and forehead ventilation. Available from stock in 11 different colours.